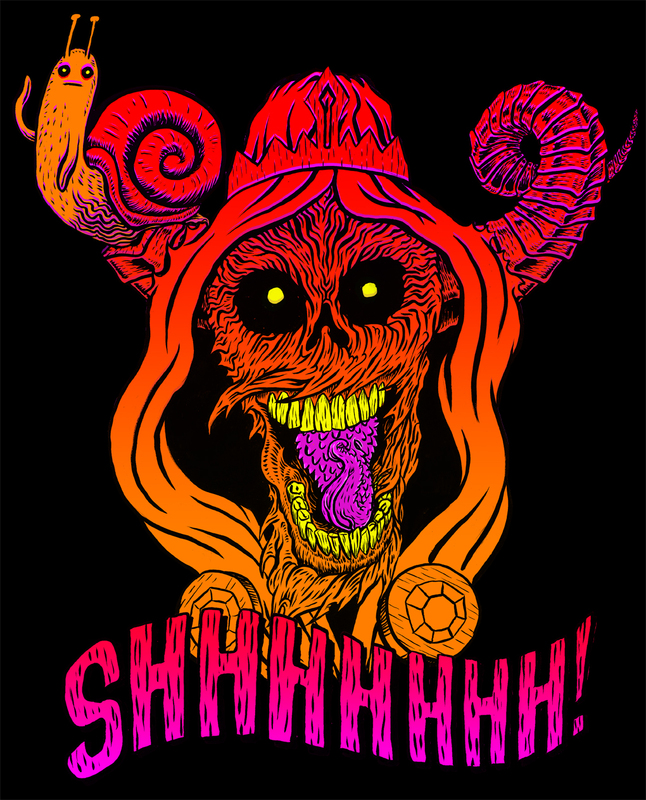 lich | Johnathan Martel's Art and stuff. I made this a while back for a T-shirt design contest but didn’t enter it on time because I am horrible at life. I have decided to make another one of these in traditional media for the Adventure time show, so I figured I would share this one. Ink and brush, hand lettered and then colored in photoshapps.